Home » News » How do the Millennials influence the wine? Nowadays the Millennials effect on the wine trade is one of the trendiest topics. Do you know who the Millennials are? What’s their role in the wine trade? The Millennials (also known as Generation Y) is the generation of people born between 1980 and 2000. They’re between the Generation X (1960-1980) and the Generation Z (after 2000). Their role is very important because they’re the first to use daily the digital technology during adulthood. Then, they can access the social media, blogs, e-commerce, and many others. Their buying behavior is completely different from that of the previous generations. I think that some considerations of their effects on the wine trade are needed. The Millennials can change a traditional sector such as the wine one. I’m part of this generation. 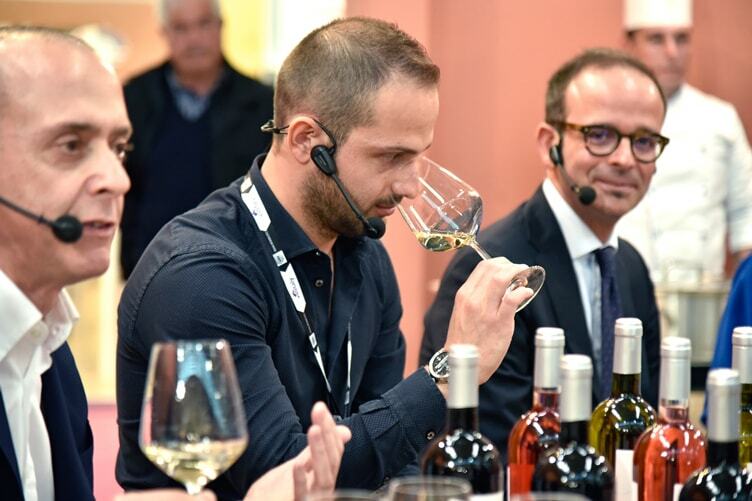 This is exactly one of the reasons why I took part in the debate “Millennials Effect: the wine in according to the new #winelovers” organized by Cantina Tollo during Vinitaly 2018. A big change is coming in the wine trade. It’s related to the way in which wine is communicated about and sold! This is happening in order to reach the Millennials. Then wineries have to use all the digital channels to intercept the Millennials at the best moment. They cannot afford to invest only in the prestigious wine guides (they’re always efficient) or use only technical words to promote their wines. As I said before, the Millennials are the first generation to use daily the digital technology. The access to the information is very fast and easy by a digital device. 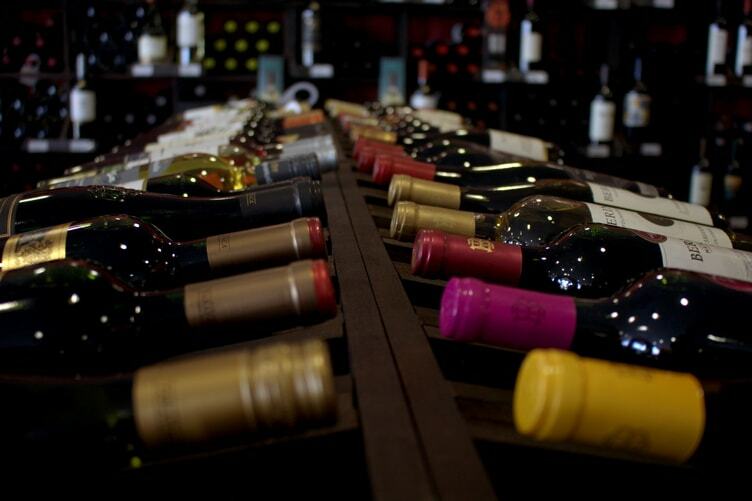 In the past, you had to take part in a sommelier course or know some wine experts if you were a wine lover. Nowadays, you only need to connect your smartphone to the internet and find what you are looking for. Obviously, if you want to improve your knowledge of wine, courses to become a sommelier are always the best. But if you need some simple concepts, the internet is a good way. In the USA the Millennials are almost half of the consumers. In other countries, they’re growing more and more. Especially girls are growing considerably. I see a lot of them during the wine events in which I take part. Thus the Millennials’ effect on the wine trade is not negligible. What do the wineries have to implement? It’s very important that a winery has a website with captivating graphics and a responsive layout. Or it grows the best communication on its social media. At the end, it needs an e-commerce (not necessarily proprietary) to sell its wines around the world. These three points are fundamental to a great strategy. But the strategy will be efficient only if the wineries know the characteristics of the Millennials before developing it. Wine is emotion! Then, the key is to touch the Millennials digitally. By good storytelling about the wines or tours of the cellars. To attract the attention to their reality wineries have to share what their operations in the cellars are like, or what the best pairing is with a wine, plus the story of the brand. These are only some examples of key factors of good storytelling. It happens online through the social media or blogs. 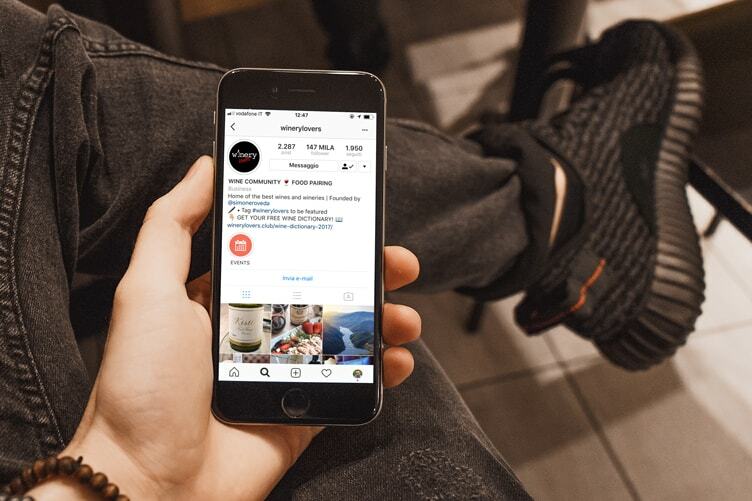 At present the most impactful social medium is Instagram. If the published contents have high value, 80% of the work is done. Another thing is to look after the winery’s image on platforms such as Wine-Searcher or Vivino. Here the Millennials search for information before they buy. Thus it’s important to display wines with the right details. And these purchases happen online on the e-commerce. It’s harder to find a Millennials in a wine shop than a person of the Generation X. There is also the figure of wine influencer to involve in the strategy. I talked about wine influencers during the previous article. They can influence the opinion and the purchases of the Millennials. In the end offline sometimes meets online. For example, the packaging of the bottle. If it has a young style, it can attract the attention of consumers. Then it can become viral with good promotion on the web. On 16 April I took part in a debate about “Millennials Effect” on the wine trade organized by Cantina Tollo. It’s one of the biggest wine cooperatives in Italy, located in Abruzzo. They grow only indigenous grapes and pay particular attention to the consumer. This debate proves it. 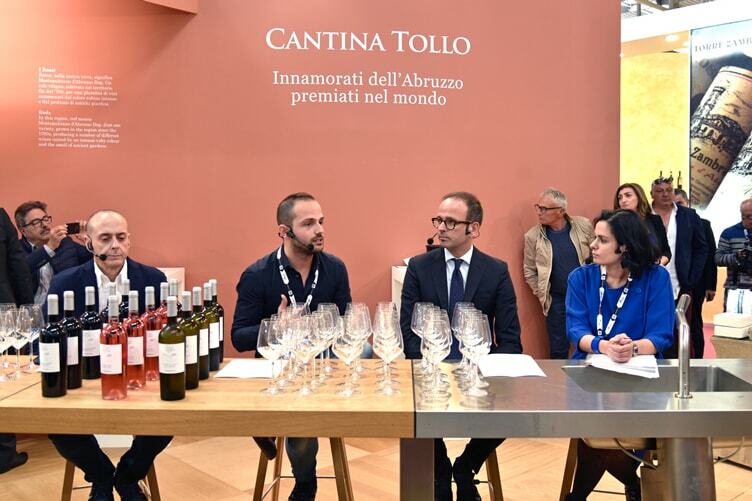 I was accompanied by Andrea Di Fabio, the commercial and marketing director of Cantina Tollo, Riccardo Brighigna, the winemaker at Cantina Tollo, and Stefania Annese, a journalist at Gambero Rosso. Our debate started on the topic of how the Millennials approach the wine. Stefania Annese realized a research (pp 34-35) about this generation before Vinitaly. It transpired that the youngest citizens prefer beer to wine. But the difference between the two beverages is not marked. People who drink wine buy it from Mass Market Retailers (GDO in Italy) for a price of around € 6-15. Red wine is the favorite and there is a lot of attention to sustainability. Vegan, organic, biodynamic, and natural wines are also very popular. The label on the bottle helps the consumer during the purchase. Cantina Tollo is working toward better interaction with the Millennials. They still find it hard to define them but are gaining more importance on the market. Today the consumer interacts with the winery and not the winery that imposes its wines on the consumer. It’s very important to involve the consumer in some wine experiences from the vineyards to the bottling. You know, the Millennials are curious youngsters. Why do the Millennials choose vegan or natural wine? They’re more trained and have grown up in a period of greater sustainability. In addition, they follow the trends (more attention to natural wines) and, as I told you before, the Millennials want to improve their knowledge of wine. For example, WSET China has equaled WSET UK in revenue. The Millennials effect is changing the wine trade. From my experience, not many wineries knew Instagram a year ago. Now the tables have turned to intercept the Millennials at the best time. It’s a generation that lives on social media, with the urge to post a picture or a video and show it to their friends. Cantina Tollo has realized the “Valle d’Oro” line for the Millennials. It will be distributed on the Horeca channel. The characteristics of these wines are the authenticity of Abruzzese wines (then promote the territory), simple packaging, and greater price performance. It’s important to communicate that wine is not an item of luxury. They’re all points to which the Millennials pay attention. I think that Millennials effect will increase the consumption of wine. In the past wine was a food, now it’s a synonym of lifestyle, culture, relaxation. In fact, the favorite situation to consume it is at home and in good company. Wineries have to invest in this change with the right strategy, improving wine experiences and using the digital channels. The Millennials are current, thus it’s not possible to neglect them. What’s your opinion? Let me know by leaving a comment.